It's always scary standing in the middle of the street to get a shot. Even though there were very few cars at this hour of the day, the thought of a car coming down while my focus is entirely on framing the picture adds a little bit of urgency making this shot tougher than usual. 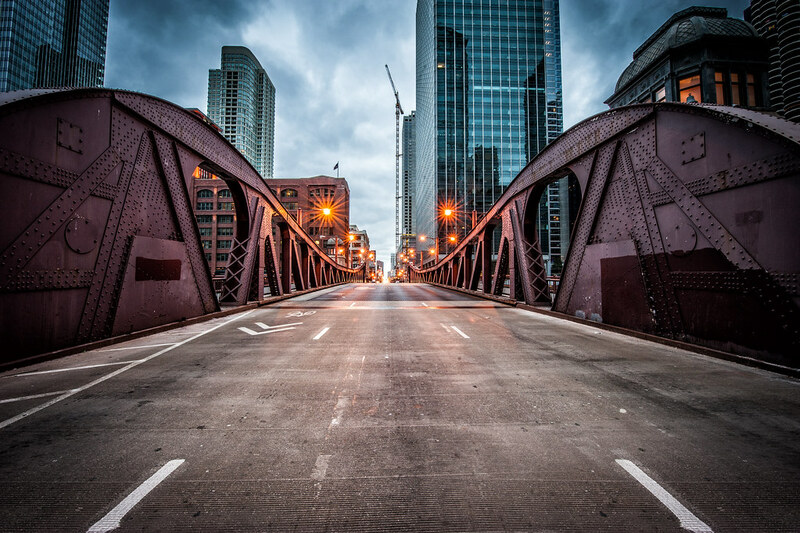 Clark Street Bridge over the Chicago River from the middle of the road.